Ahead of their May opening, we visited co-owner Jared Merlino and group operations manager Dre Walters at Kittyhawk, to get an idea of what to expect next from the team behind The Lobo Plantation. When we visited, the site was still very much under construction, but a month out from opening, it’s beginning to take shape. And it looks like it’ll be one hell of a bar. There will be light and greenery at the front of Kittyhawk; French bi-fold windows opening onto the plaza, mosaics on the floor. “With the windows open, it’s almost like having a little beer garden,” is how Merlino described it. They’ve created an entrance that leads you in from the plaza outside, past a set of four antique French doors through which you can spy the bar inside; on entering the bar proper, you’ll be deposited at the centre of the 12 metre-long bar. Walls of cabinetry will hold Kittyhawk war memorabilia. A raised lounge area will offer table service. “It’s one of the best seats in the house, you get to watch people coming in and out,” Merlino said. The focus of the room, however, is on the 12 metre-long bar. It features four custom-built wells, designed for two bartenders working side by side, foot-operated taps, and every bartender within two steps of a freezer and a fridge. All the modern creature comforts, really. They’ve reworked the kitchen, with food expected to be about 20 per cent of what they do, Merlino said. The downstairs prep kitchen is where the magic will happen — and they’ve got plenty of space which Walters is looking forward to making the most of. They’ve got walk-in freezers, large vac pac machines and plenty of square-footage in which to prep things for what is expected to be a high volume cocktail operation. Just don’t call it a drink program. The drinks list will centre around rye and rum, with about 200 ryes expected to grace the back bar (which itself is designed to hold up to 700 bottles). Expect to see many rye bottlings that you’ve not tasted before. Those ryes will feed into the cocktails, said Walters. 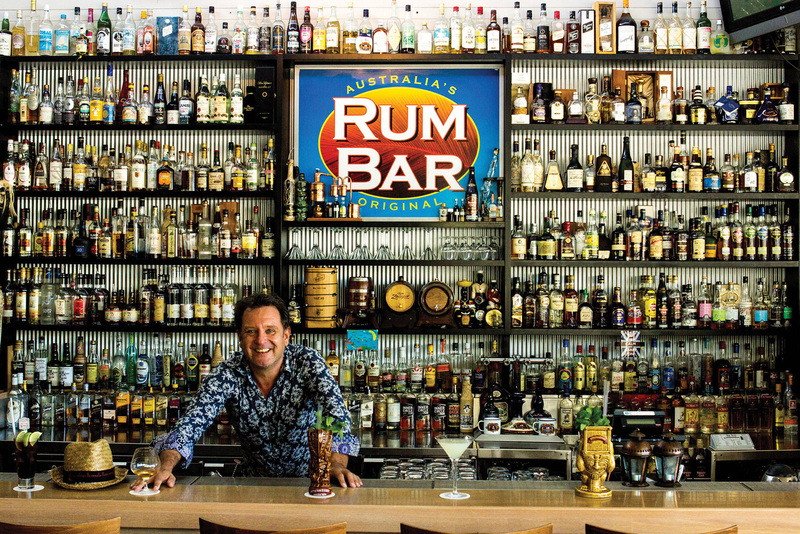 “You can do so many things with rye that you can do with rum. At this point in time, it’s one huge experiment, but the ideas and the things we have floating around, the things that have already worked — the list is going to be extremely prep-heavy. There’s going to be a lot to do behind the scenes. [But] when we’ve got the room to have the equipment to make sure that everything is bang on, well you might as well utilise that,” he said. Kittyhawk is slated for a mid to late May opening at 16 Philip Lane, Sydney.